I’ve shown you how to set up WordPress hosting, how to install a free WordPress theme, and how to customize that theme for your brand. Now the fun begins! 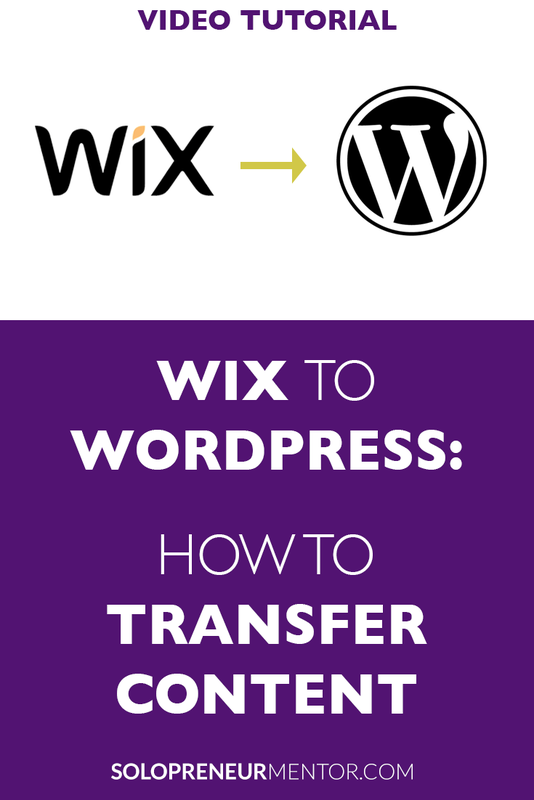 We are going to transfer all your content from your current Wix website to WordPress! The free WordPress theme I installed in the previous video on How to Install WordPress makes this process easy. In this video tutorial, I will show you how to move your website content from Wix to WordPress using a simple drag-and-drop page builder. Please keep in mind that this process will be different for every website and is not meant to give you a complete guide on how to move all of your content over from Wix to WordPress. It is meant to simply show you the basics so you can see how easy it is to do. My goal is to empower you to say “I can do that!” and then start playing with it. One final note, this website was created in less than an hour. Most of the websites I create for clients take a lot more time than that. I have not shown you all the fine tuning I would normally do on every website because that was outside the scope of this video tutorial. This is a website with simple content created in the easiest way possible.